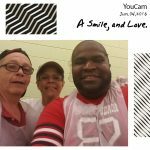 The Long Island Community Fellowship food pantry services the needs of LGBT members who have fallen on hard times. It is our goal and desire to continue the fight against hunger. Our clients are people who are struggling with late stage cancer, AIDS, debilitating medical conditions or just need a helping hand before getting back on their feet. Their stories are heartbreaking—and very real. Some of the clients are estranged from mainstream organizations, they feel more comfortable dealing with and confiding in an LGBT church. People who receive assistance are referred to LICF by various organizations and also contact us directly. The food pantry is supported by organizations and individual donations. Please contact Long Island Community Fellowship and make a difference in someone’s life. 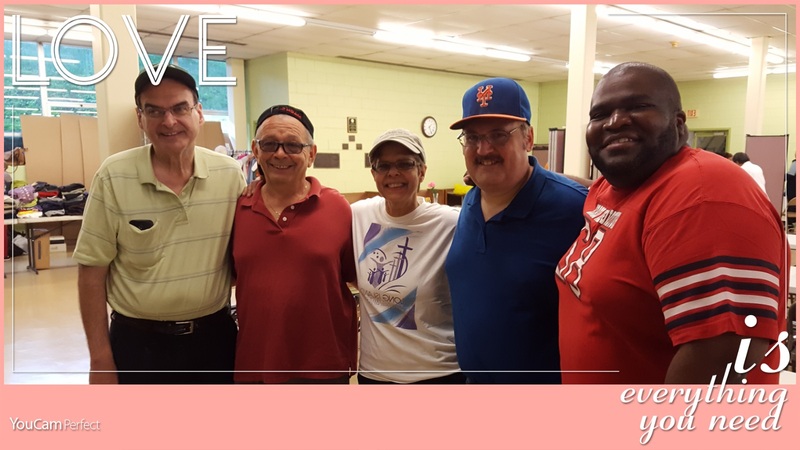 LICF Men’s Ministry joined St. Anne’s Church in Brentwood, NY to feed and clothe Long Islanders that have fallen on hard times. Eddie, Johnnie, Joe, Lou and Eva rolled up their sleeves and made over 200 PBJ sandwiches and then helped serve over 150 hot meals. It was a wonderful feeling to do God’s work and help our fellow Long Islanders…..